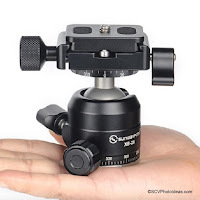 Almost four years after the release of their smallest Improved FB-28i Lightweight Ball Head Sunwayfoto introduced a baby member to their XB series of low profile ball heads. 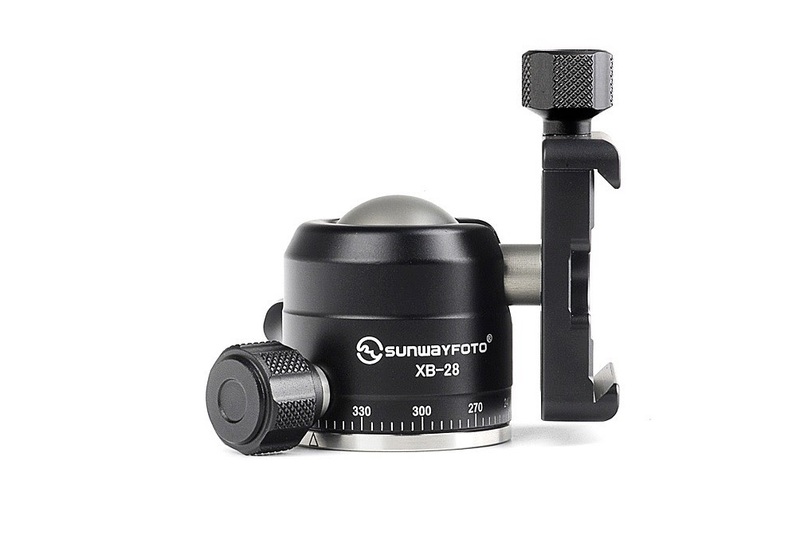 The new member in the Sunwayfoto XB Series is called XB-28 and as evident from the illustration it comes in a very small size, with a 28 mm ellipsoidal ball and the very smooth characteristics of its larger siblings. 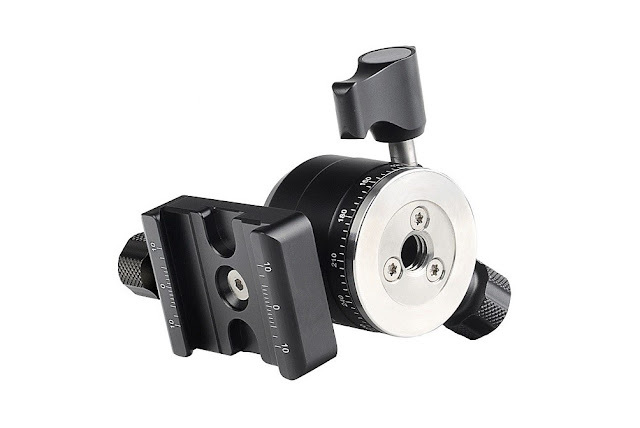 What actually differs from all other Sunwayfoto ball heads is the large ratcheted lever-like Lock-knob which allows for extra torque to be applied -compared to a small sized knob- in order to lock the ball. As with the FB-28i the independent panning lock knob on a ball head of this size gives it extra points against similar models from competition. Now what is missing from the standard XB series attributes is the double drop notch but it doesn't seem feasible considering the palm size of the head. Nonetheless, the XB-28 is 5 mm shorter and 17 gr lighter than the FB-28i. However, the weight lifting ability seems to have decreased dramatically, at least on paper. 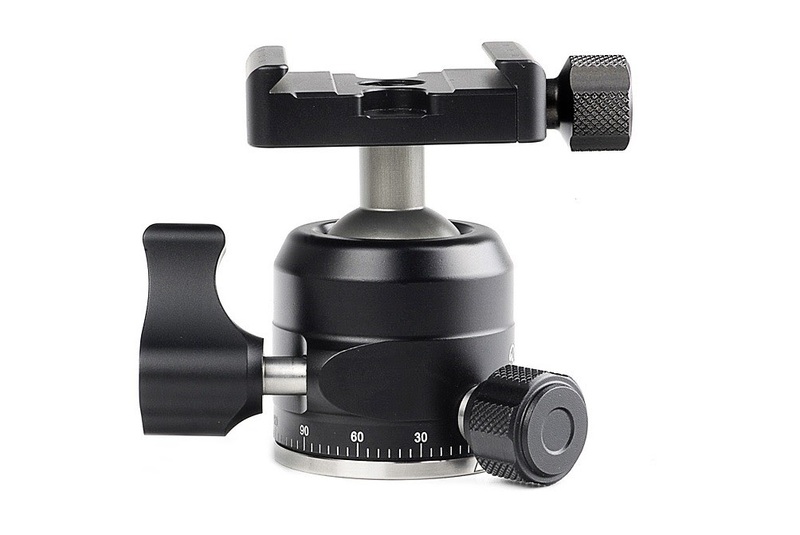 Sunwayfoto XB-28 Low Profile Ball Head ratcheted ball-lock knob and pan-lock knobs. Something that usually escapes any attention is that the ball stem is elongated compared to the other XB series heads allowing full clearance of the quick release clamp when tilted in the drop notch. 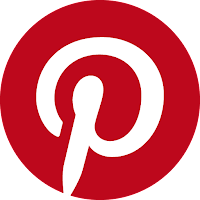 The panning base is from a different metal probably stainless steal which makes the mounting hole thread more wear resistant than aluminum. The laser engraved scale is a full 360° though. The small DDC-37 Arca-Swiss® compatible QR clamp is used once again here, but without the internal bubble level. 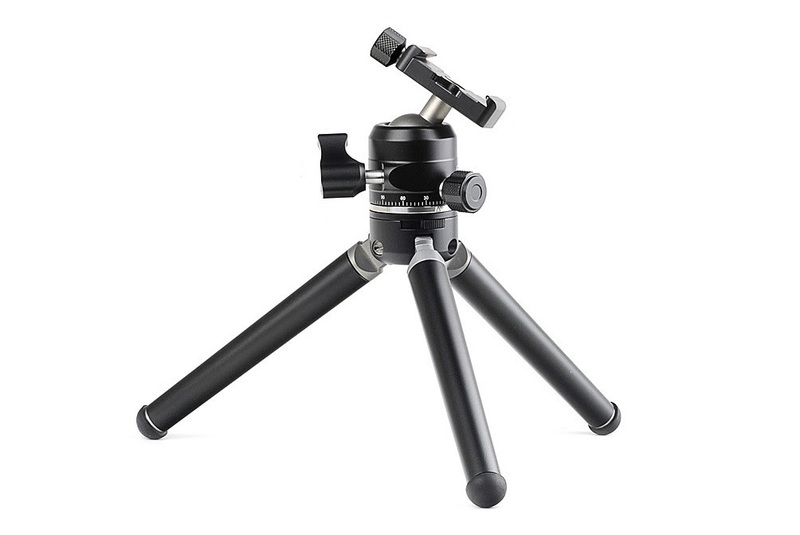 The QR clamp size combined with the correct positioning of the lock-knobs make the XB-28 a perfect companion for small traveler tripods. 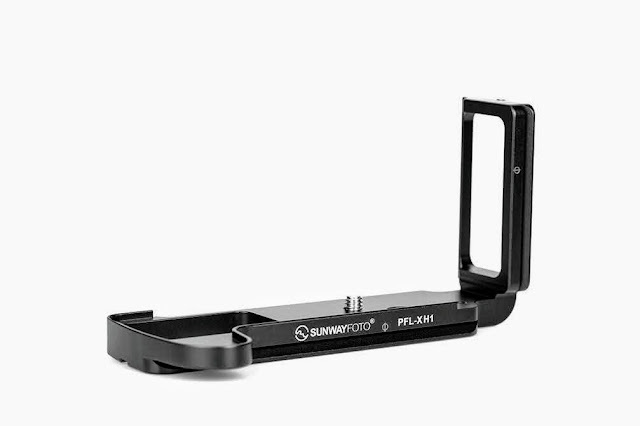 The XB-28 is the perfect companion to the new Sunwayfoto Aluminium Tabletop tripods as the smaller T1A20D shown below which will be presented in an individual post. Considering the silky smooth operation derived from the Sunwayfoto ellipsoidal balls offered in a very compact package with a very tempting price it's a very good value for money! Current price for the XB-28 Ball Head is US$ 39.00 (+shipping where applicable) and is available from Amazon or from eBay. Is this LOW profile ballhead just 5 mm shorter than the FB-28i ballhead ? From the pictures of both, it seems that the difference in height is larger than 5 mm. Indeed the height difference between XB-28II and FB-28i is only 5 mm. Mostly due to the existence of the top panning plate under the QR clamp. 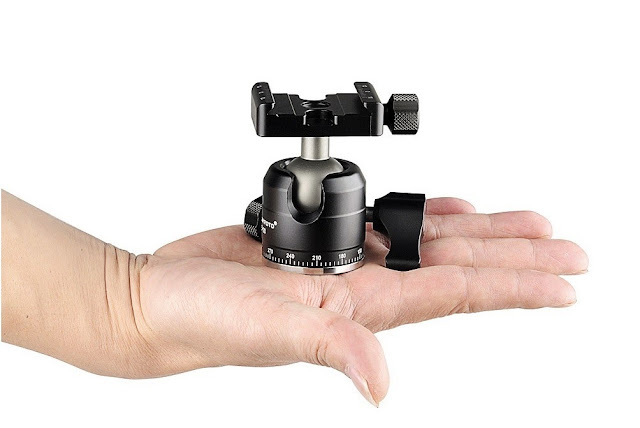 The main difference of course is the XB-28II ball locking mechanism which sits lower and exercises even pressure on the ball with better results. Maybe the slimmer shape of the FB-28i creates an illusion that it's taller.